On-board a jeep, we will wave goodbye to the sea and beaches and head off on the discovery of the other side to Cyprus, the spectacular mountains and traditional villages, where we will admire splendid views and sample local delicacies. 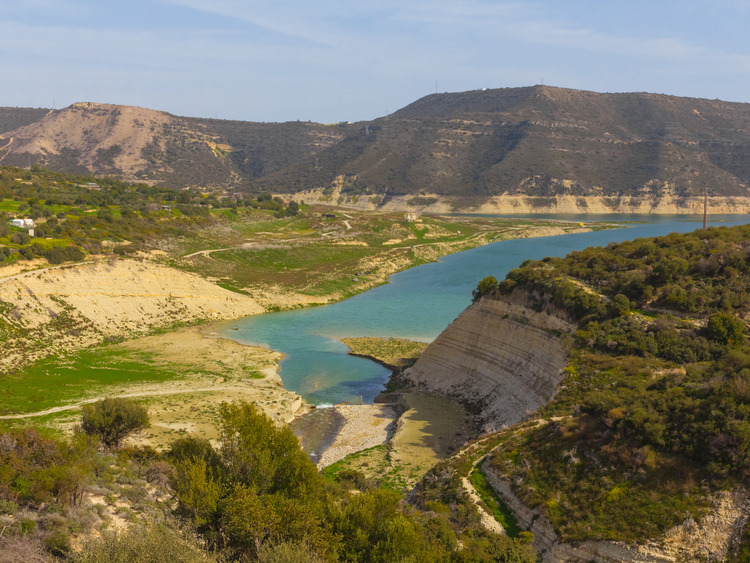 We will set off on our adventure heading directly to Cyprus' largest dam: the Kouris barrier, a significant water project with a capacity of 118 million m3. We will take a short break to take some photos and then we will set off once again. Our nest stop is the Medieval village of Lofou, gracefully established on a semicircle shaped slope. We will take a short walk to admire the surrounding landscape and enjoy the setting of times gone past which can still be experienced here. The traditional architecture of the village is truly one of a kind. The stone-paved roads are narrow and windy, plant life peeks out amongst the pebbles, overhangs garden walls near to the entrances of homes where it is still common to display ornamental wine jars. We will then head to the Village of Pera Pedi and, once we have passed the residential area, we will continue along the dirt track which ascends to the Mesa Potamos Mountain until we reach a small and evocative waterfall. Our trip continues with a visit to a local, traditional wine cellar to taste the local wine, and then we will continue onto an artisan confectionery workshop where we will watch the preparation of typical syrup-based products and take this opportunity to taste a few. Minimum age required to participate in this tour is 6 years old. ?